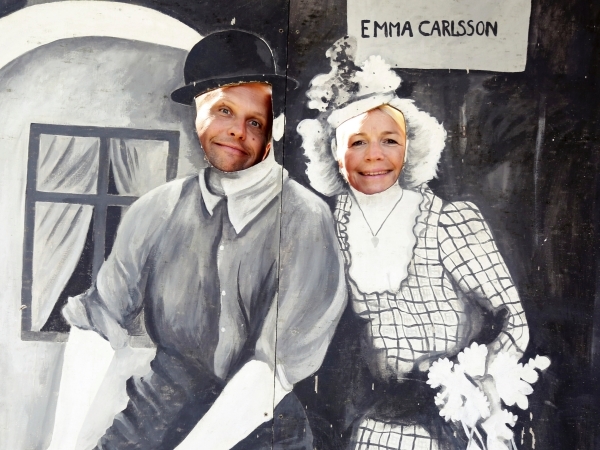 Welcome to Filmstaden – Experience the historical ground of "Sweden's Hollywood"
Enjoy a travel in time while strolling around the historical grounds of Filmstaden. 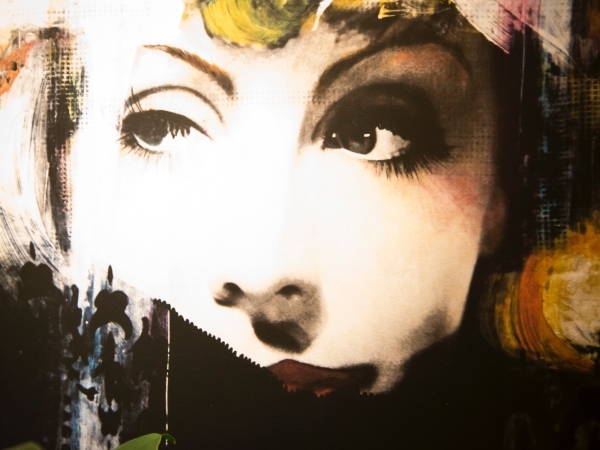 Filmstaden was built in 1919 and during 80 years, groundbreaking art was created here. 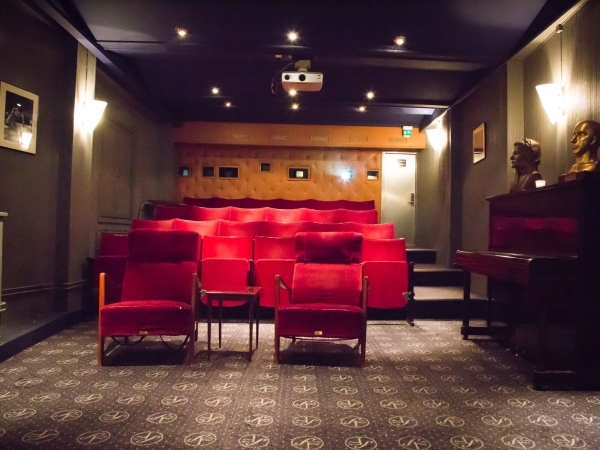 This is where legends such as director Ingmar Bergman and actresses Ingrid Bergman and Greta Garbo used to work, the two actresses made their debut here. Eight buildings still remain from the dream factory days. Guided tours in English are offered on August 11 and 18 at 3 PM. Price SEK 100. More information here. To book a guided group tour (max. 35) in English, German or French, please contact mikaela@filmstadenskultur.se. You can take a walk on your own with our excellent audio guide in English. 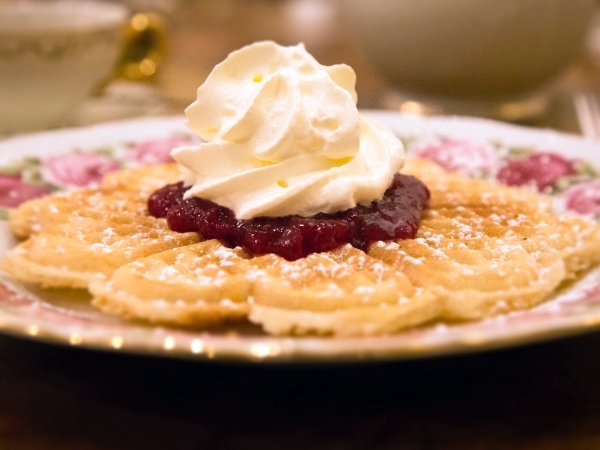 The café serves waffles during weekends and also has a small exhibition dedicated to the Swedish films of the 30s, 40s and 50s. Opening hours: Fridays to Sundays, 11 AM to 6 PM. 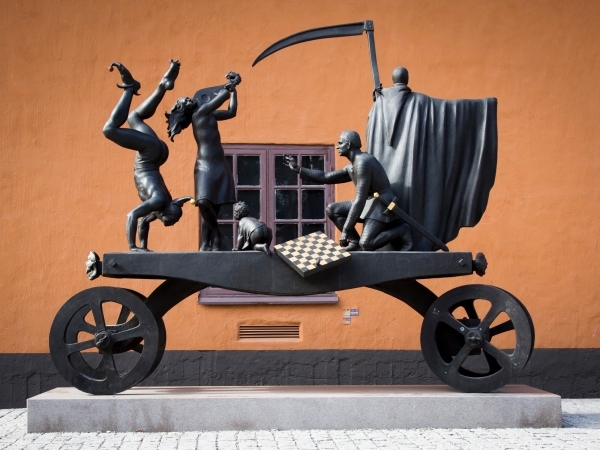 It was here in Filmstaden, just north of Stockholm, that Ingmar Bergman (1918-2007) made his film debut and worked for decades while creating his most famous films. 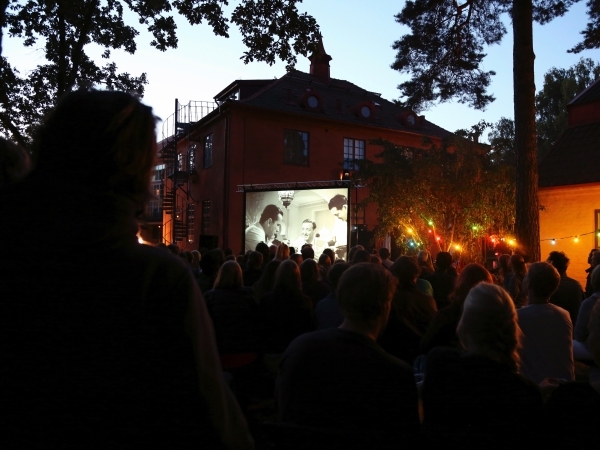 Our outdoor photo-exhibition tells the story of Bergman’s work in Filmstaden. You can find the exhibition behind the Gatekeeper’s lodge. Free admission! 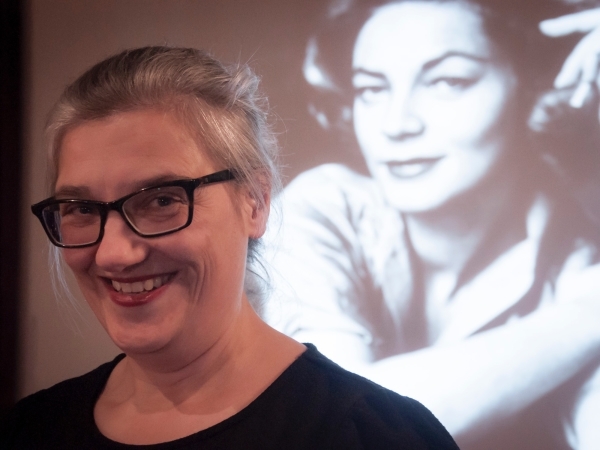 Read more about our 2018 Bergman celebration here. Filmstaden in Råsunda, just outside Stockholm, was Sweden’s Hollywood from 1920 to the beginning of the 1970s. 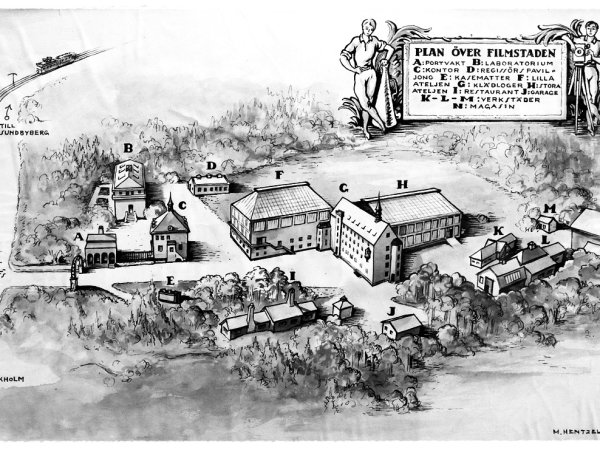 For more than half a century, this was the place where over 400 films were made – many of them belong today to the international film heritage. This marvelous ”Film City”, with its beautiful buildings made for creating films, was built for Victor Sjöström and Mauritz Stiller, the most famous directors of the Swedish silent era. Here, Greta Garbo made her first major film, The Saga of Gösta Berling, before becoming a Hollywood legend. And it was here that Ingrid Bergman’s wonderful career started, with ten films in the 30s before she also left Sweden for Hollywood. Ingmar Bergman made a string of films here in the 50s that once again put Swedish film on the map of international cinema. Among these were Summer with Monika, Smiles of a Summer Night, The Seventh Seal and Wild Strawberries. It was here that he evolved into one of the true great film makers, creating his own very personal cinema. 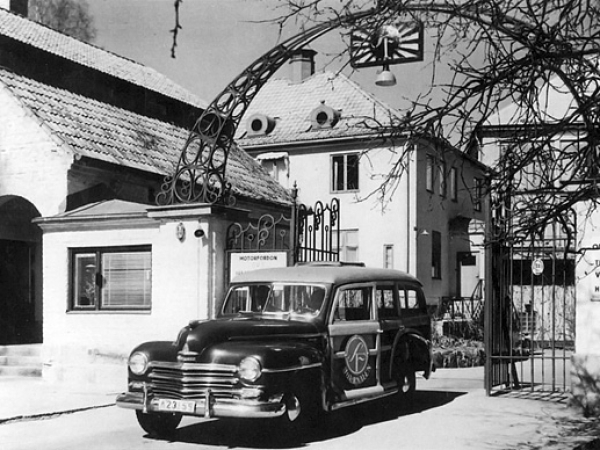 Jan Troell came here in the 60s and returned to the great epic cinema that hade made Sjöström and Stiller famous. But by now, the studio system was in its decline and Filmstaden was no longer popular with the new directors and film makers. One of the last sets that was built in Filmstaden was the boat that carry Liv Ullmann and Max von Sydow to the United States in Troell’s The Emigrants. Then, the studios were shut down and other activities took place in Filmstaden, now looking more and more like a ghost town. 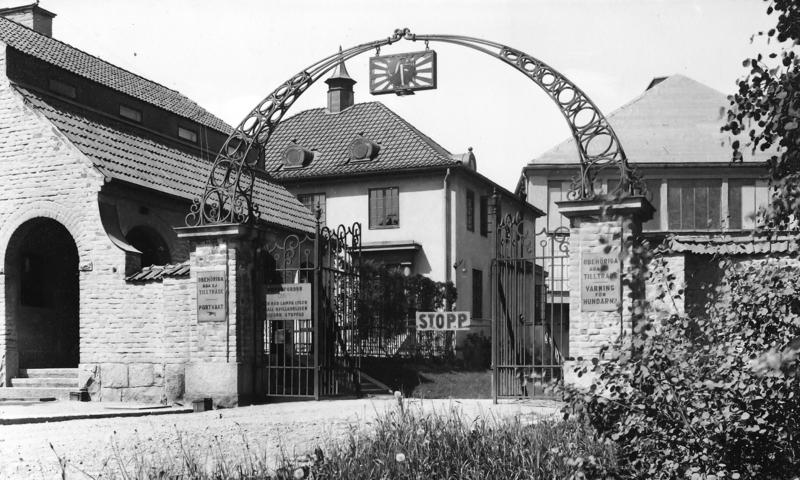 Filmstaden was for a long time bound for destruction – but eight of the old buildings from 1920 were saved in 1999. Today, Filmstaden has resurrected as a lively part of the city of Solna, and become a place where people live, work and – go to the movies. 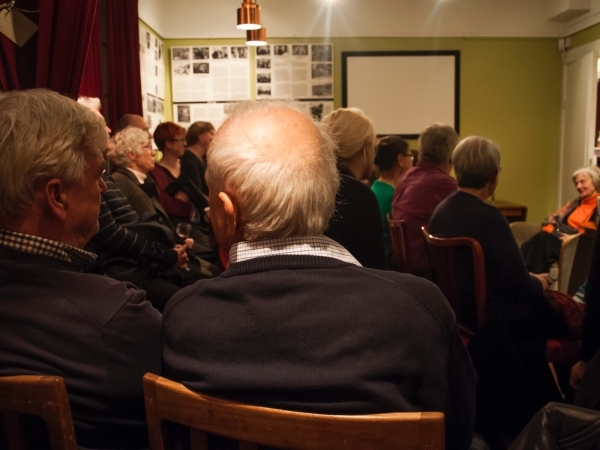 Today, the Foundation Filmstadens Kultur is situated in the gatekeeper’s lodge and our mission is to keep the memory of Filmstaden alive through different projects, such as offering guided outdoors tours to groups of all sizes and ages. Our waffle café is open Friday to Sunday, 11 AM to 6 PM, in the gatekeeper’s lodge. Take a walk in the area our excellent audio guide.